Even with a well-fit hearing aid, communication can still be a problem for many hard-of-hearing individuals. We strongly encourage you to refer your patients to HEAR U for information about hearing health and ways patients can better utilize hearing aids. Join Us for a C.H.A.T.! C.H.A.T. is a training session to review proper care and maintenance of hearing aids. We will cover hearing aid use and trouble-shooting techniques. This class is great for first time hearing aid users, experienced users with new aids, family members or caretakers. Time: 10:30 a.m. to 11:30 p.m. 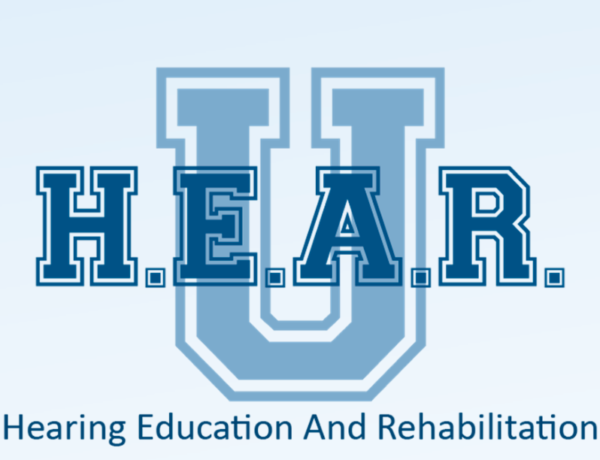 HEAR U is a series of classes provided by audiologists at the Hearing and Speech Center provided at no cost to participants, but donations are gladly accepted. Your support through referrals and donations helps us continue our educational programs. To print a flyer, click here.